As much as I’d like one, a Mansur Gavriel bucket bag is a little out of reach right now. I’ve been spotting them on all my favourite bloggers and editors, and they really can elevate a look. 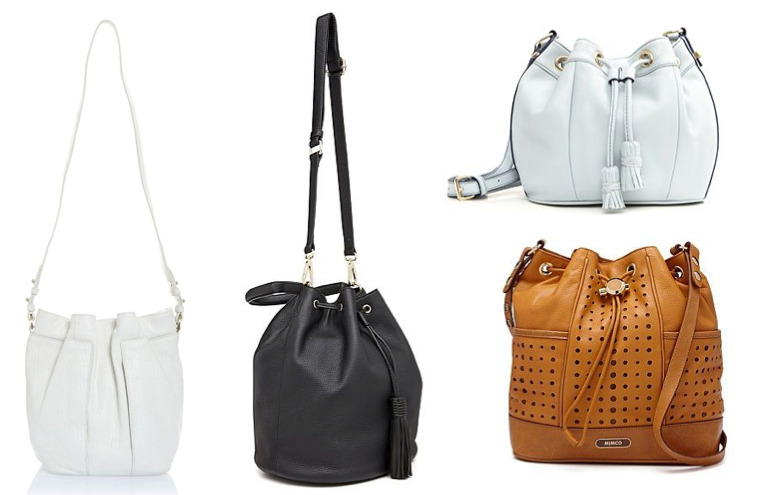 Effortless and slouchy, the bucket bag is a real winner. Especially when crafted from Italian vegetable tanned leather. Team it with your fave boyfriend jeans and a pair of sky high heels (but please, no platforms) for street style chic right now. Transition it in to summer with a sports-luxe look, or a simple shift dress and sandals. If I was to partake in the heady purchase of a Mansur Gavriel (I believe Net-a-Porter currently has them in stock, but only in white), then I’d be going for a classic tan to lead into summer. Even though the bucket bag of my dreams is going to stay right where it is, I won’t be writing off the trend completely. Local retailers are doing some great versions for SS14/15 – one of each, thanks.